Huge Black Friday / Cyber Monday Sale! Call us today to place your order. These deals are only here for a limited time (until Tuesday 11/28/17). Just scroll down to view the amazing sale prices, or – You can view all of these special deals here. BendPak is the biggest name in the automotive lift business. They recently changed from their traditional blue color for all their lifts to a new gunmetal gray color. Most people love the new gray color. But some folks still prefer the old traditional BendPak blue. Well we still have a few blue lifts remaining around here, and we’re offering them at a significant discount to their regular prices. But be aware – There is a very limited supply. Once they’re gone, that’s it. This alignment lift features an open front, allowing the technician to walk directly in between the runways without having to first duck down to get under the front cross tube. This feature speeds up service times, but also might save you from getting a headache if you know what we mean. Normally $7595, get it now for only $7075. – Plus – get one free RJ7 rolling jack FREE! This lift is the perfect option for classic car collectors and parking facilities and for anybody who has too many automobiles, and too little space. Get it now for only $3940 – while supplies last. But wait, there are plenty more lifts on sale now. Everything from 40,000 lb. 4 post lifts to 9,000 lb. 2 post lifts and space saving full rise scissor lifts. You can view all of the special blue sale lifts by clicking here. This brake lathe is a full featured model suitable for handling cars and light trucks. And right now, we’re offering $1090 off! Get it now for only $4990! This super duty 100 ton press offers all the top features you would find on a premium shop press. And now it’s on sale for only $6725, plus, you’ll get a heavy duty steel work bench FREE with your purchase! We paired up our most popular tire changer and wheel balancing machines to give you a combo deal that is tough to beat. Our Ranger R980XR tire changer can handle rims all the way up to 28 inches in diameter and down to 9″. and our DST2420 is a reliable as can be. Get them both together right now for only $3564 and save hundreds of dollars. This transmission jack is so heavy duty, we call it The Beast. It will handle almost any job you can throw at it. And now we’re selling it for only $1171, plus, were throwing in the optional adapter set for FREE. AFF is one our favorite manufacturers. And they make some of the finest hydraulic floor jacks on the planet. And the 200T is one of our most popular. It has a low saddle height and the jack frame stays at a low profile for more than half the length of the jack, so you can get under all those low ground clearance sports cars. it’s on sale now for only $290 and we’re also throwing in a FREE creeper. This jack is a steal at the current sale price of only $687, but when we throw in a FREE 1/2 inch air ratchet, there’s no reason not to jump at this offer. This handy little product will help save you money. It will pay for itself in no time. You’ll find similar models on the market for twice this price. At Only $1100, this is a bargain. Plus, now, we’re throwing in the stand for FREE! We know what you’re thinking – It’s almost winter. It’s cold outside. What better time to save money than buying a seasonal product in the off-season? For a limited time, you can get the Ranger CB-30L for lower than it’s ever been at only $980. This has become our biggest event every year. Customers can expect our best deals on some of our most popular products. And as always, there’s free shipping on most orders. Call us today to place your order. These deals are only here for a limited time (until Tuesday 11/29/16). This unique lift is truly one of a kind. Nobody has anything like it. It’s perfect for the home / hobbyist who wants all the features of a two post lift, but doesn’t have adequate ceiling height, or wants a portable option. Only $768. Regular Price $868. Quantities are limited. When they’re gone, they’re gone. So don’t wait. Order today. Our ESCO jack stands are our most popular jack stands. They are the finest jack stands you will ever see. And we’ve got them lower than they’ve ever been right now. There are several varieties to choose from. Flat saddle, curved saddle, or get one with a flat AND the curved saddle included. Only $529. Regular Price $576. Dannmar two post lifts are ALI Certified and are available in symmetric, asymmetric models. Plus, you can get them for less now than they’ve been all year! Huge sale on many alignment lift models. Models range from 9,000 lb. capacity all the way up to 35,000 lb. four post models, along with 12,000 lb. scissor alignment racks. Only $499. Regular Price $587. Ranger QuickJack car lifts are our hottest item right now. They are the easiest, most efficient way to service a vehicle. And there are 3 sizes to choose from. Some of our most popular hydraulic floor jacks are on sale right now. Choose from 2 ton all the way up to 10 ton. Some models even include a free pair of jack stands. Lincoln is the best name in the business when it comes to welders. And our Lincoln Mig welders are on sale now at the lowest prices all year. Many different models to choose from. Choose from 70 amp up to 250 amp models. On sale now at the Lowest price all year! The popular Extreme heavy duty model 3180 truck transmission jack by AFF is on sale lower than it’s been in over a year at only $1093 with free shipping. This beast with handle almost any transmission out there with it’s robust 4400 lb capacity. Some select models of our BendPak 4 Post Lifts are also on sale right now. These are popular models for the Home Hobbyist customer, with safety features you won’t find on the typical lift. The ASEplatinum tire changers have features that you will find on many premium brand machines – but without the premium price. Made in USA. Durable 1/4 inch thick steel construction. Premium finish that won’t chip and peel off. Superior quality wheels with ball bearing casters. Plus, when you upgrade to the heavy duty caster option, they have ball bearings in the axle of the wheels, for the smoothest, easiest rolling wheel dolly on the market. Plus, they’ve never been cheaper than they are right now. there are several different sizes to choose from. This is a killer deal! 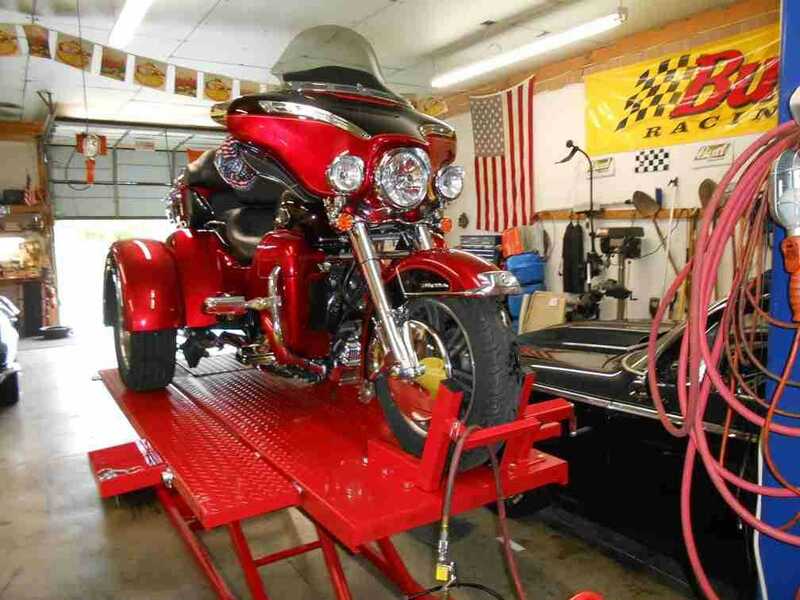 This is our most popular motorcycle lift. Why? Because it includes every feature you could want, and then some…. Side extensions, front extension, wheel vise, drop down panel, rear support poles, and much more. Plus, it raises higher than most lifts, and has a greater lifting capacity. It can be powered by air, or hydraulics. Plus, it has retracting casters that allow you to roll it around even while loaded. Ranger (a division of BendPak) is also having a blow-out sale on select models. . They pack them with all kinds of features and capabilities, but they don’t skimp on quality. All machines boast a powerful 2 HP motor, along with premium components made to last. Parts are always available, plus, the warranty includes on-site service for a year. This post is for our 2015 Black Friday / Cyber Monday Sale. To view our 2018 sale, click here. We wanted to send out a huge Thank You and Merry Christmas to all our loyal repeat customers this holiday season. This is our annual Black Friday and Cyber Monday sale for all you holiday shoppers. You demanded it, so here it is. Most vendors actually wait until Black Friday for their sales and deals, but not us. We’re starting this sale effective immediately. The sale is good until the end of the month of November. Not all models are on sale, so when you click on the links below, look for the SALE in the upper right of any product box to see if it is on sale right now. And don’t forget, free shipping applies on most orders. Of course If you have any questions, email us, or give us a call. This first offer is sure to be a hit. Get up to $200 Coupon with your purchase. Order any product, or combination of items that total $3000 and over, and get a $200 coupon toward a future purchase. Order $1500 to $2999, and get a $100 coupon toward a future purchase. If your order totals $1000 – $1499, get a $50 coupon. Order $600 – $999, get a $25 coupon. Order $300 – $599, get a $10 coupon. This offer not to be combined with any other offers or specials. Offer good until 11/30/15. AFF Floor Jacks on sale now. Some of our most popular hydraulic floor jacks are on sale right now. Choose from 2 ton all the way up to 10 ton capacity. Some models include a set of free jack stands with your purchase. As always, shipping is free. 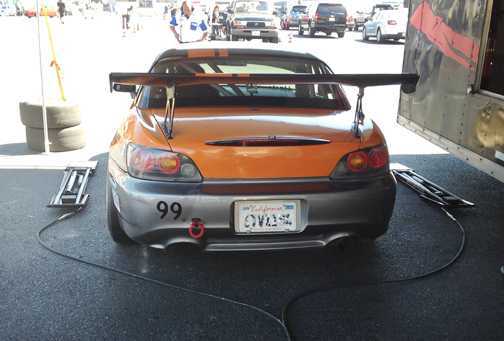 AFF Aluminum Racing Jacks on sale now. The two most popular Models AFF aluminum jacks are true commercial quality jacks. You can definitely find cheaper aluminum jacks out there. But these were made to last. Commercial grade billet aluminum construction with premium construction assures that this jack won’t fail you a few short months after the warranty. The two models that are on sale right now are model 208 and 210. Ranger BL3500 QuickJack Car Lift. Only $840. The BL-3500 lift is a car enthusiast’s dream. It lifts 3500 pounds, It’s completely portable, and it is very quick and easy to use. Right now, it is $195 off it’s regular price. See why this quick and easy car lift is so popular with the home / hobby crowd. Don’t wait. It has NEVER been this low – ever! And Nobody’s got it for less. ESCO Jack Stand Sale. Our ESCO jack stands are by far our most popular jack stands. They are the finest jack stands you will ever see. And we’ve got them lower than they’ve ever been right now. There are several varieties to choose from. Flat saddle, curved saddle, or get one with a flat AND the curved saddle included. The Auto Dolly by Merrick Machine Company. Made in USA. Durable 1/4 inch thick steel construction. Premium finish that won’t chip and peel off. Superior quality wheels with ball bearing casters. Plus, when you upgrade to the heavy duty caster option, they have ball bearings in the axle of the wheels, for the smoothest, easiest rolling wheel dolly on the market. Plus, they’ve never been cheaper than they are right now. Free Impact Wrench with select AFF Air Jacks. AFF knows how to make professional quality air jacks that can hold up to years of abuse. Right now, we are offering a FREE heavy duty 1″ air impact wrench when you purchase any one of two different AFF air jack models. These models include the model 536, which has a 35 ton capacity, and the model 551, which has a 50 ton capacity. Or, get the Model 565E air jack, and get a FREE 3/4″ impact wrench. This is a killer deal! Hand Held Car and Truck battery Jump starter sale. Our prices are always super low here at ASEDEals.com. But when we throw in free stuff, people really love it. Well that’s what we’re doing. For a limited time, purchase the hugely popular JNC1224 and JNC950 commercial quality jump starters, and get the handy ESA30 Memory Saver Cord FREE! This is a $39 Value! This cord allows you to save vehicle presets and codes so you can disconnect the car’s battery to service it. Never lose your preset radio stations again! AFF Heavy Truck Transmission Jack On Sale Now. On sale now at the Lowest price all year! The popular Extreme heavy duty truck transmission jack is on sale lower than it’s been in over a year at only $1093 with free shipping. This beast with handle almost any transmission out there with it’s robust 4400 lb capacity. AFF 3700 Clutch Jack. The AFF 3700 Clutch jack is a versatile purpose-built jack. It’s not just for clutch work. Not if you get some of the many optional accessories that are available for it. There is an optional flywheel adapter, drive shaft adapter, differential adapter, and many more. One jack can handle it all! And it’s on sale right now for only $793 with free shipping. Dannmar MaxJax 2 Post Car Lift only $2149, plus – free oil drain. This unique lift is truly one of a kind. Nobody has anything like it. It’s perfect for the home / hobbyist who wants all the features of a two post lift, but doesn’t have adequate ceiling height, or wants a portable option. And we’ve got it right now at the lowest price possible. Dannmar Two Post Lift Sale. Dannmar 2 post lifts are true commercial quality lifts, and are ALI Certified. Right now, They are on sale lower than they have been all year. Also, we are offering a free set of the frame cradle pads with the purchase of any Dannmar 2 post lift. The frame pad kit normally sells for $140. Dannmar 4 Post Lift Sale. Dannmar 4 post lifts are among a very select few lifts in the home / hobby market that are ALI Certified. Right now, we’re offering an additional $150 discount off our prices listed on our web site to monthly deals subscribers. But we don’t stop there. We are also throwing in an oil drain for free. The 8 gallon rolling oil drain is perfect for catching fluids that might otherwise splatter on your floor if you were using a less efficient method of catching them. You’ll have to call us to take advantage of the $150 discount. BendPak HD9 and HD9XW Four Post Lifts On Sale Now. The sale isn’t limited to just 2 post lifts. Our BendPak 4 Post Lifts are also on sale right now. These are our most popular models for the Home Hobbyist customer, with safety features you won’t find on the typical lift. These prices also are the lowest they’ve been in 18 months. BendPak Open Front Alignment Lift Huge Blow Out Special. The open front alignment lift provides a bonus feature that the standard 4 post alignment lift does not. It eliminates the front cross member so you don’t have to duck every time you want to walk in between the runways. When you’re performing alignments, you have to frequently walk back and forth, and it can be a hassle to have to duck every time. Blow-Out sale Price is $6610. Huge Ranger Tire Changer Sale. Ranger (a division of BendPak) is also having a blow-out sale on select models. For a limited time, you can get up to $175 off on some of their most popular models. Ranger tire changers are one of the best values on the market today. They pack them with all kinds of features and capabilities, but they don’t skimp on quality. All machines boast a powerful 2 HP motor, along with premium components made to last. Parts are always available, plus, the warranty includes on-site service for a year. Don’t wait! Contact us now. These deals are only good until the end of November. While Black Friday is traditionally the biggest volume day when it comes to retail sales in traditional brick and mortar store outlets each year, traditionally, the Monday after Thanksgiving day tends to be the busiest day for on-line shoppers. It’s called Cyber Monday. The term describes the busiest day for internet sales for the year. Who knows, maybe Webster’s Dictionary will soon list it as an official new word. The computer and everything related has added many new words to the English language over the past decade. Like most retailers, Amazon.com claims that the 4th quarter is the most busy quarter every year. According to the National Retail Federation 44 percent of shoppers made an online purchase last year. Some incentives that on-line stores offer are free shipping and large discounts for Cyber Monday purchases. The automotive equipment industry is no different. While we do offer traditional outlets for purchases, including catalog and phone based sales, internet sales account for a large portion of our sales, and the percentage has grown every year. The reasons cited are easy to understand. Making life easier is the main reason given time and time again when internet shoppers are asked why they purchase online instead of heading out to their local malls. You don’t have to deal with the traffic and the crowds. Time is money. Many consumers just don’t have the necessary time to fight the traffic. And with modern websites offering close up images, as well as 3D images along with videos and owner’s manuals as well as dimensional drawings for many of their products, you can get a pretty clear idea on what the product is all about. We try to top all of those handy shopping aids with one more thing that we feel helps immensely – customer pictures and testimonials. Nothing helps our customers understand the product better than a customer testimonial topped off with a picture or two submitted by the customer. This also aids us in gaining the trust of new customers. If they can see how other customers experiences were, they can establish a pattern. We recommend asking any retailer you’re not familiar with for references. Especially with such large ticket items like auto lifts. With business taking off already from Cyber Monday, the 4th quarter of 2011 is sure to be the biggest ever for internet sales.